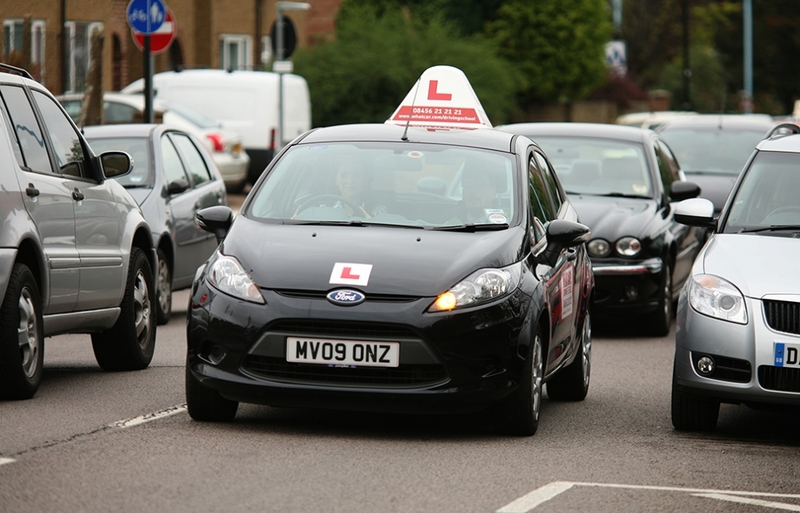 Passing your driving test is a right of passage for many young people across the UK. As soon as you’ve got that certificate in your hand, you will be eagerly waiting to hit the road alone. Before you can get behind the wheel of your very first car, you will need to get yourself the proper car insurance policy in place. However, finding cheap car insurance for new drivers can be a real struggle. Many insurance companies will quote extremely high premiums for young drivers. Especially for those who have just recently passed their driving test. Consequently, these expensive prices can be enough to put some new drivers off getting their first car. It is a legal requirement for every driver in the UK to have some form of car insurance in place. This protects yourself, and other drivers should something go wrong while out on the road. Finding cheap car insurance for new drivers can often seem like an impossible task. However, there are some options out there to help keep the costs down. One increasingly popular option for cheap car insurance for new drivers is Dash Cam Insurance. This could save you up to 30% on your insurance premiums. Another option is Black Box Insurance. This will allow your insurance company to monitor your driving habits and price your premiums accordingly. A dashboard camera, or Dash Cam, is a small camera device. It is fitted to your car and monitors the road ahead of you as you drive. A Dash Cam will continuously record the road and vehicles around you when you are driving. Furthermore, this footage can be invaluable should an incident occur. The recordings can reveal which driver was at fault in the event of an accident. As a result, it can help both drivers and insurance companies save a lot of money, time and stress. It is becoming increasingly popular for car insurance companies to include a Dash Cam within their insurance policies and then reduce the premiums to reflect this. When you are looking for cheap car insurance for new drivers, Dash Cam Insurance is an excellent option to consider. How Can A Dash Cam Help With Cheap Car Insurance For New Drivers? Finding cheap car insurance for new drivers is often a struggle. This is because insurance companies will always have higher premiums for drivers who have just recently passed their test. New drivers and younger drivers have less experience at being on the road, and statistics have shown that younger drivers are more likely to be involved in an accident than older, more experienced drivers. Car insurance companies will charge a higher premium to these drivers to cover the added risk, so if you can take some of that risk away, then the premiums will be reduced. A driver with a Dash Cam is less risky to an insurance company than a driver without one, as there will be recorded footage of any accidents that do occur. This means that you can prove if an incident on the road was not your fault and will also make you more aware and accountable for your own driving. 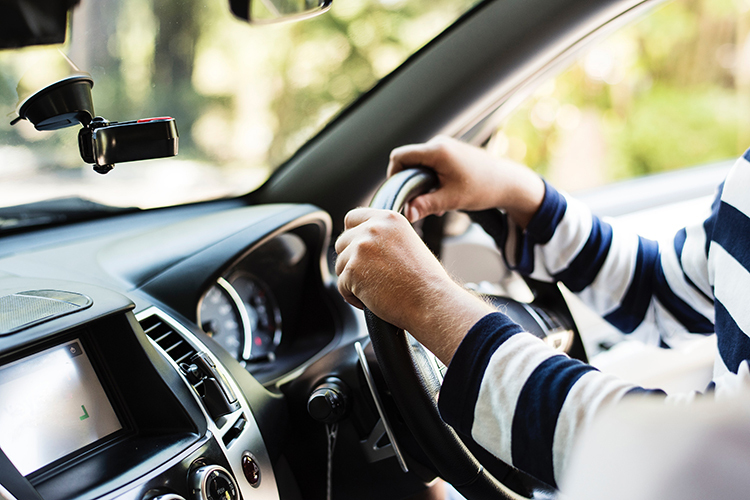 Having a Dash Cam fitted in your vehicle will discourage inconsiderate driving, and a huge 40% of motorists say they would feel safer driving with a Dash Cam on board. When it comes to finding cheap car insurance for new drivers, choosing Dash Cam Insurance can reduce the premiums by up to 30%. A Black Box, or telematics device, is a small box that is fitted into your vehicle by an insurance company to monitor your driving style. This small device will track your speed, distance, time of day or night that you usually drive, braking and cornering, and all the information collected can be accessed by an online portal. Consequently, this will build up a comprehensive profile of what you are like as a driver. Generally speaking, the fewer miles you drive and the less night time driving you do, the safer driver you will be in the eyes of an insurance company. This is a really popular option for those looking for cheap car insurance for new drivers, as the premiums are often based on your own driving style as opposed to statistics of others your age. How Can A Black Box Help With Cheap Car Insurance For New Drivers? Just like with Dash Cam Insurance, Black Box Insurance will also reduce the risk for an insurance company covering you as a new driver. Your insurance company will be able to monitor your driving style and see how safe you are when out on the roads. Some Black Box Insurance policies will also put restrictions in place to keep your premiums down. These restrictions might include a limit on the number of miles you can drive in one year, how long you can drive for without a break, and the times of day or night you can drive. Having a Black Box fitted in your vehicle can reduce insurance premiums by around 25%, making it a great option if you are looking for cheap car insurance for new drivers. How Else Can I Get Cheap Car Insurance For New Drivers? Advanced driving courses: Even though you have passed your driving test, you could reduce your premiums by passing an advanced driving course such as PassPlus. Pay annually: Instead of paying for your car insurance every month, it is often cheaper to pay for an entire year in advance if you can afford to do so. Include named drivers: You can add an experienced driver onto your car insurance policy as a named driver. This often helps to lower your premiums and also means they can drive your car. Reduce your mileage: For many insurance policies, the more you drive, the higher your premiums will be. 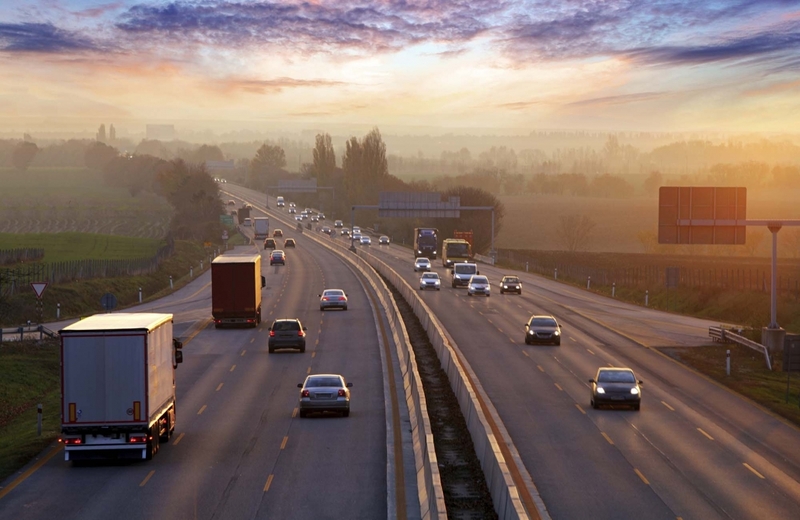 If you can reduce your annual mileage at all, then it could make your insurance cheaper. If you own a van, then it is a legal requirement to obtain van insurance for your vehicle. There are no two ways about it. Van insurance differs significantly from car insurance. For a start, the risks between driving a car and a van are different. What’s more, vans are often likely to be used for a business purpose which means it requires a different type of insurance. If you’re looking for a way to get cheap van insurance, then read this handy guide on what you can do to get the best deal for van insurance. No two vans are the same, and the make and model of your van (as well as its size and load capacity) will affect the price of the insurance. If you are buying a new van, it is worth comparing the insurance costs for different makes and models so that you can get the best deal. 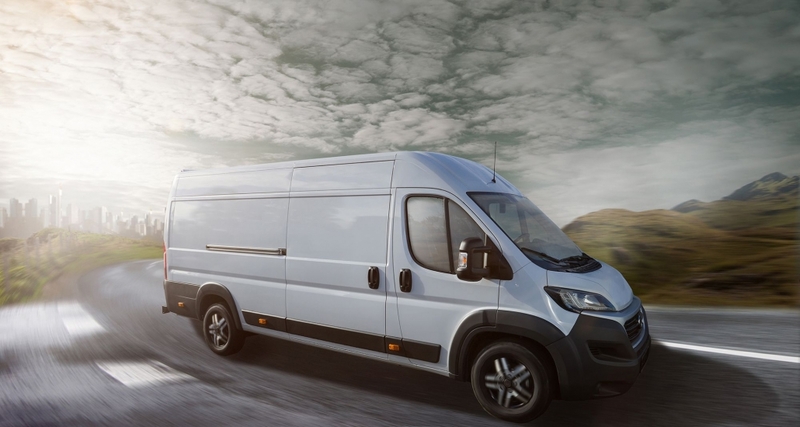 While one type of van may be cheaper to buy, the cost of insurance may be high which could mean it is more expensive in the long run compared to a more expensive van with cheaper insurance. Insurance providers will ask you where the van is kept overnight. A driveway or garage is usually considered safer than on-street parking which may lower your insurance. However, many scratches and scrapes take place in a garage or carpark which can increase the level of risk and actually increase your premiums even though they are deemed ‘safe’ locations. Typically, the more miles you do, the higher your insurance premiums will be. This is because more time spent on the roads means a higher chance of accidents as well as more wear and tear for the van itself. 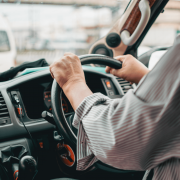 By lowering your mileage, you may get a better deal for your insurance, although this is often difficult for van drivers who cover a lot of miles. Do not lie about your mileage as it could invalidate your policy in the event of a claim. If you have convictions, then your premiums are likely to rise. Your insurer will also base your premiums on your age, gender and how long you have been driving. Some insurers will also take into account the number of years you’ve held a no-claims bonus for. Many van drivers will use their vehicle for work purposes. When requesting an insurance quote, you will be asked if you drive the van for business or personal use, there is also an option to select both. Insurance can then cover personal possessions, work equipment and haulage if you use your van to make deliveries. All of these uses will impact your insurance, so only select the options that you actually need and that suit your requirements, you do not have to have all cover options. Many insurers will increase the price of their insurance every year and then automatically renew the insurance to save the individual time. While auto-renewal can save time, it usually means drivers miss out on the best deals. Instead, call MyFirstUK who will shop around to get the best deal for you. Saving you both time and money! 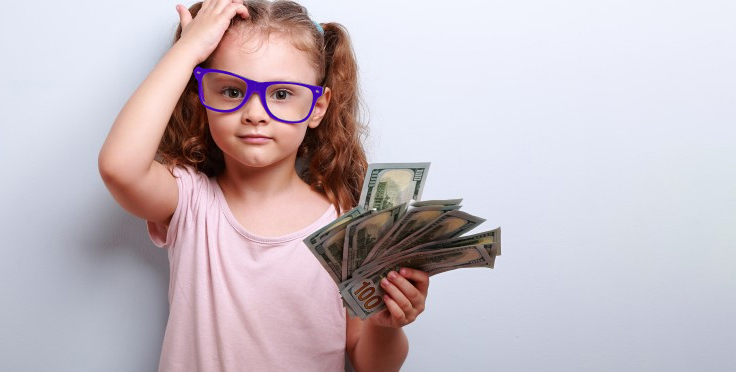 If you are in the financial position to pay for your insurance annually, it can make your insurance cheaper. Often, insurers will give you a discount if you pay annually, they may even give you one month of insurance for free. Paying monthly usually costs more due to the additional processing and administrations for the insurance provider. One of the best ways to get cheap van insurance is to ensure your van has a decent level of security. Where possible, look for vans with security features or add them where possible. GPS tracking can be incredibly beneficial if your van gets stolen. Having an alarm system can also help, while many manufacturers include an alarm and immobiliser as standard, it may be worth upgrading your security systems for cheaper van insurance and greater peace of mind too. Many insurers will have a van insurance package which will include a number of add-ons. For some drivers, these add-ons will be useful. However, for some drivers, they could be redundant features. For example, an add-on may protect your cargo or cover your work tools. If you don’t use your van as a tradesperson or don’t use your van for haulage, then this could increase your premium without giving you any benefits. Instead, check carefully what is included in your premium and only include the add-ons that you’ll actually benefit from. Having a dash cam insurance policy such as MyVan means you receive a free dash cam as part of your premiums as well as potentially lowering your premiums by up to 25%. 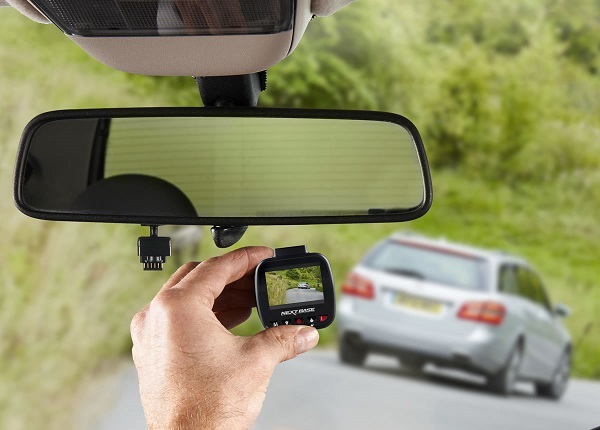 MyVan dash cam insurance comes with a free Next Base Dash Cam as well as free collection and installation at Halfords. The device will then be there in the event of an accident as well as providing proof if any false claims were made against you. If you want to save up to 25% on your van insurance policy, start your quote with MyFirstUK today. Sometimes it is well worth spending a little bit more on your van insurance so that it can adequately protect you in the event of a claim. It may seem like a good idea to increase your voluntary excess. This will be the amount you pay towards a claim. However, you need to make sure you can afford the excess otherwise the garage may not give you your van back. Always choose a voluntary excess amount that you know you can afford. Regardless of the vehicle they want to drive; young drivers suffer from high vehicle insurance premiums. Young drivers who are looking for car insurance will find their premiums are much higher than those aged 25 and above. However, for young drivers looking for van insurance, the premiums are usually higher. Furthermore, it can be harder to find an insurance policy as many van insurance policies are only available to drivers over 21 years-old. Some policies are only available for drivers over 25. So, what can you do to obtain cheap van insurance for young drivers? Why is van insurance for young drivers so difficult to acquire? Car insurance premiums for young drivers increase because they are statistically more likely to suffer an accident on the roads. Similarly, van drivers aged between 17-24 are more likely to be involved in an accident when driving a van compared to van drivers who are older and that have more experience. With this in mind, many insurers do not think its profitable or worthwhile to offer insurance to van drivers under 25. This is why only a small proportion of insurers offer van insurance to those under 25. Some insurers have lowered their age restrictions to drivers over 21, which is better, but only because they class van drivers over 21 as a slightly lesser risk and insurance premiums are still typically high to reflect this. Fortunately, there are some insurers that do offer van insurance for young drivers. Furthermore, MyFirstUK works with the majority of them, to help young drivers to get van insurance at an affordable price. Why is my van insurance for young drivers quote so expensive? The fact that insurance premiums are higher for young drivers is often due to the statistical likelihood that they are more likely to be involved in an accident. For example, one-fifth of drivers have an accident within the first six months of acquiring their licence. Furthermore, an 18-year-old driver is three times more likely to get involved in a crash compared to a 48-year-old. If you haven’t bought your van yet and are just shopping around for quotes, it may be worth considering a smaller, more efficient van. You can check which vans are the cheapest to insure by looking at the Association of British Insurers’ insurance groups for vans. Bear in mind, that while a van may cost a little more to buy or hire purchase, it could save you, in the long run, thanks to cheaper insurance. If parts are expensive or rare, then it will cost more to repair and, therefore, more to insure. If the overall cost to repair a van is high, then premiums will reflect this. The bigger the engine, then it will be classed in a higher category by ABI. The heavier the weight of the van, the more difficult it is to drive, so will be classed higher. The performance of the make and model will determine how likely a claim will be made. The greater number of security features the lower the category and premium will be. Your personal details will be taken into consideration when determining your premiums. Aspects that insurers will consider include your age and driving experience. Premiums will also take into account the number of convictions you have as well as your claiming history and no claims bonus. Other personal information that could increase your premiums is where you live and where the van will be stored. On street parking will usually raise premiums, while keeping your vehicle on a private driveway will usually lower the premiums. The area in which you live can also play a large part in your premium costs. Unfortunately, this is usually unavoidable. While van insurance for young drivers is usually expensive, there are ways that you can reduce your van insurance premiums and find more affordable van insurance that suits your needs. As mentioned above, a bigger, more powerful van will be more expensive to insure than one with a smaller engine. It may be best to start with a smaller van and upgrade as you build up your no claims bonus. Check ABI’s groups for van insurance to find the vans which are cheapest to insure. Get in touch with MyFirstUK who will scour the market searching for the best van insurance deals for young drivers. Our team are on web chat, email and phone so you can get in touch easily, and we’ll do the hard work of comparing insurance quotes. If you have the funds available, then increase your voluntary excess. This will be the amount you will have to contribute for a repair. However, if you don’t have the money in the event of the claim, then the insurer will not have to pay out. The safer your van is, the less likely it will be stolen or damaged which means you are less likely to claim on your insurance. From locking in a garage overnight to choosing Dashcam insurance from MyFirstUK, there is a range of security measures you can put in place. If possible, pay the annual premium for your car insurance compared to monthly instalments. Paying for a whole year upfront is usually cheaper than paying in instalments, you may even get one month of insurance free by paying in advance. The team at MyFirstUK are here to help you get the most affordable van insurance for young drivers and will be on hand with ideas for how you can lower your premiums too. Find out more by getting a quote online! Young drivers and first-time drivers are known for getting a bad deal when it comes to car insurance. Learning to drive is incredibly expensive, and the costs associated with learning to drive have risen 18% since 2010. For drivers under the age of 25, they pay an average of £1,635 a year for car insurance alone. Whereas drivers over 25 spend an average of £712 per year, while drivers over 50 paying an average of £413 per year. So, if you’re a first-time driver and looking to cut costs on your insurance, here are the top tips on how to find cheap car insurance as a first time driver. In most cases, adding a second driver to your insurance policy can push your premium prices up. However, in the case of young drivers, adding a second responsible driver to your policy such as older siblings or parents can reduce your premiums. This is because first time drivers are seen as high risk. Adding a second or third driver who is older and has plenty of experience on the road can dramatically reduce the cost of your policy. It is important only to add drivers who are realistically going to drive your car. In some cases, you can even say how much they will drive your car. For example, you can put your Dad down as an ‘occasional driver’. Adding drivers to your policy doesn’t always make it cheaper, and in some cases, it can actually increase your premiums. The best thing to do is try a few different quotes with different drivers and see which ones lower your premiums and which increase your premiums. Start checking for quotes today with MyFirstUK here. Typically, third party only is seen as the cheapest as it has the lowest level of cover. However, insurers know that many people who chose third-party insurance are actually a higher risk on the roads. In some cases, fully comprehensive insurance can actually be cheaper as you are deemed a safer, more sensible driver. Again, it is best to compare different quotes to see which is cheapest. However, for extra peace of mind, fully comprehensive can ensure you have the cover in place for a whole range of circumstance, giving you the protection you need if an accident is your fault. Modifications may look cool on your new wheels, but they will often cost you significantly with your insurance premiums. Modifications are essentially anything that you’ve added to your car that isn’t part of its factory specification. If you add alloy wheels, extra bass for your music system or an additional exhaust, then you will need to state this on your insurance (otherwise it may invalidate your policy). Usually, insurers will increase your premiums if you have modifications as they can increase the value of your car and therefore the cost of repair or replacement if they are stolen or damaged. Certain vehicle makes, and models are considered cheaper to insure. There are 50 different car insurance groups, and it is well worth reviewing these groups when choosing your car. The cheapest cars to insure for young drivers are in the groups one to five. Remember, faster cars are usually seen as a higher risk, especially if it is your first car. To help reduce the premiums for young drivers and newly qualified drivers, many insurers now offer black box insurance. The black box insurance, also known as telematics, monitors the driving style of the driver. This data can then determine how safe the driver is and subsequently lower the insurance. Black box insurance helps by not only providing necessary data to prove your driving skills but can add peace of mind. Already half a million drivers in the UK have black box insurance and having telematics insurance reduces the crash risk by 40%. At MyFirstUK, we specialise in finding the cheapest insurance for first time drivers and one of our specialities is black box insurance. If you want to save considerably on your car insurance, then telematics insurance may be the answer. If you don’t like the idea of having your driving habits monitored, then a dash cam insurance policy may be a better alternative. A dash cam can offer up to a 30% discount on car insurance as it monitors the action on the road and not your driving style. 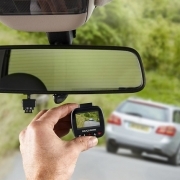 A dash cam provides the proof in the event of an accident or incident which can help to speed up the dispute process in the event of a claim. What’s more, people often feel safer when having a dash cam in action. In fact, 40% of people claim they prefer driving with a dash cam on board as it provides peace of mind and evidence for a dispute or when your car is damaged, and it isn’t your fault. At MyFirstUK, we offer dash cam insurance by teaming up with Next Base Dash Cams. With our dash cam policies, policyholders can receive a free Next Base Dash Cam as part of their policy. Furthermore, there is a free click and collect service at Halfords where Halfords will also install the dash cam free of charge too. 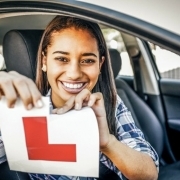 If you want to reduce your premiums as a first-time driver, then get in touch with MyFirstUK who specialises in car insurance for young drivers. If you’d like to find out more about our dash cam policies and black box insurance, then get in touch with MyFirstUK by calling or speaking to us through live chat. 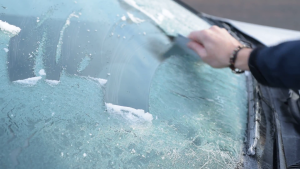 We all hate de-icing and scraping our windshields, especially in the blistering cold…in the morning! Halfords have a handy solution of an ice scraper combined with a waterproof ‘Mitt’ to keep those hands dry and warm! A bargain for only £4.50 and it’s one of the gifts that they’ll thank you for when the frost really hits in the new year! 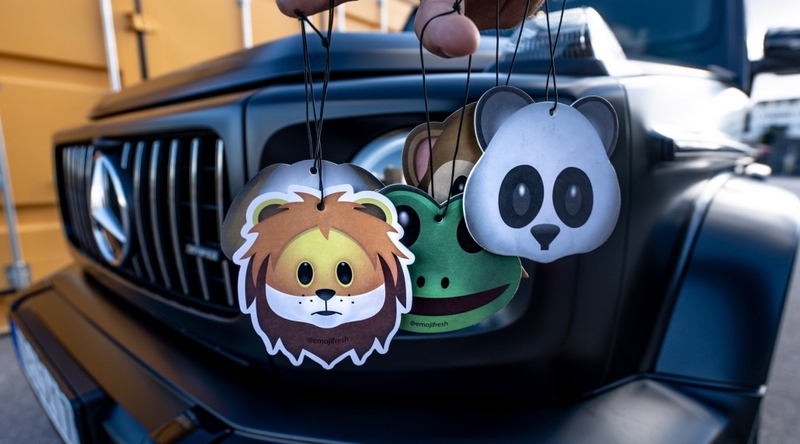 The coolest car air fresheners on the market! Emoji fresh specialise in quirky shaped air fresheners in every popular emoji you can think of! Not only that, but you can also custom print almost anything and create your very own air freshener. 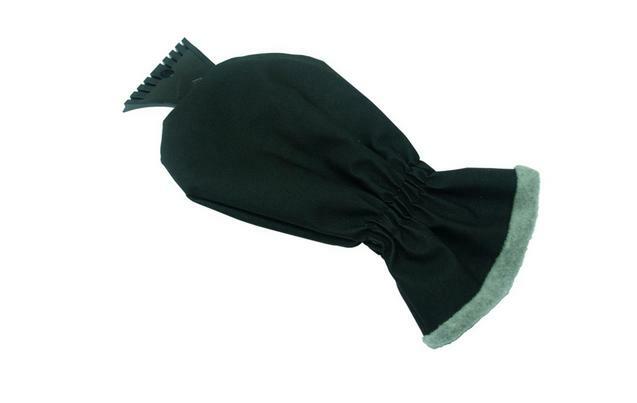 From Kermit the Frog to odour eliminating mists, they have a perfect stocking filler for you! Check them out. 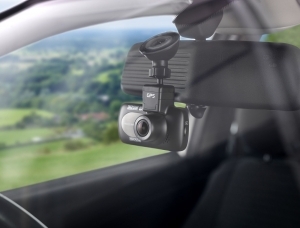 The popularity of Dash Cams has rocketed this year and is set to continue into 2019. They are a fantastic safety feature for any domestic or commercial vehicle and can even save you a bundle on your car insurance! Nextbase are leading the market in affordable but extremely high specification Dash Cams and their Nextbase 112 model comes in at just £39.99 from Argos! Or… if you’re looking to save on your car or van insurance, why not contact us for a quote on a Dash Cam policy and you could save up to huge 30%. Get a quote here. Let’s face it, if it isn’t yourself, we all know someone who can’t keep their car tidy! 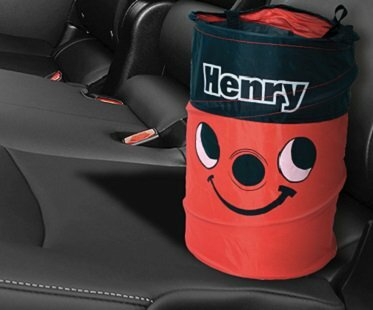 This quirky little bin is the perfect gift to give your friend or family member no excuse not to little their car. Now just £7.75 from amazon, it’s collapsible design is non-intrusive and easily fits into most boots. Inspired by the famous Henry Hoover, who wouldn’t want this for Christmas!? From all of us at MyFirstUK, we wish you the best of luck with your gift-buying, a very Merry Christmas and a Happy New Year! Need to save money on your car insurance? Get in touch today. https://myfirstuk.com/wp-content/uploads/2018/12/nextbase-112-dash-cam-in-car.jpg 430 600 MyFirstUKAdmin68431 https://myfirstuk.com/wp-content/uploads/2018/03/logo-2.svg MyFirstUKAdmin684312018-12-21 12:57:462018-12-21 12:59:13Last minute stocking fillers for cars! Wake up early and de-frost your car! We are all guilty of shutting off our morning alarm just to squeeze those extra 10 minutes in bed, especially during the winter months. However, when you get into your car and realise it’s completely frosted over, it’s going to make you either late which can lead to even bigger problems. Leaving in a hurry without de-frosting your windows is incredibly dangerous. Whilst there is no road law that says it is illegal to drive with snow on your car, the Highway Code stipulates that if driving in adverse weather conditions you must, by law, be able to see out of every glass panel in your vehicle (via RAC). Our Advice? Set your alarm just 10-15 minutes earlier in the morning and make sure your car is fully de-frosted BEFORE setting off. Avoid the busiest days and times (where possible). The week before Christmas will be the busiest on UK roads with many companies closing for the Christmas period and shoppers rushing to get their last minute presents in time. If you are intending to get those last minute deals, avoid the normal peak hours (4pm – 7pm) as this is when the roads will be at their busiest. Alternatively, consider a slightly different route that would cancel out motorways during these hours. Our Advice? Don’t rush! Take your time driving home or heading out shopping and avoid peak commuter hours. Download apps such as ‘Waze’ or Google Maps to get live traffic updates and routes that will help you plan your journey times. Clean your car when you get chance! Clean my car!? In this weather!? Yes…unfortunately as the frost hits our roads, so do the gritters which can build up in and around your vehicle, causing long term problems. We’re not suggesting a polish, but giving your car a general clean and removing that winter debris will do wonders! Our Advice? Wrap up warm when doing it! Your oil and coolant levels should be also be topped up to ensure your car is healthy for the road! Our overall advice? It takes very little time to put these tips into effect, and doing so could save you time, money and even your life, all of which we need around Christmas! If you are looking for the best deal on young driver, learner or Van insurance, get a quote from MyFirstUK today. Being accepted for car insurance after a conviction can be difficult. However, getting insurance is essential, especially if you rely on driving for your work. For those who need to drive for their livelihood can risk losing their job and their home. In return, this can put an immense pressure on families and loved ones. What Is Convicted Driver Insurance? Convicted driver insurance offers the same level of protection as regular car insurance. However, it will take into account your previous convictions. Usually, convicted drivers are seen as a high risk to insurers, and high premiums typically reflect that risk. However, at MyFirstUK, we take into account your specific circumstances and your conviction to help find the best and most affordable insurance policy. One of the ways we can help to find cheaper insurance for convicted drivers is through our dash cam insurance policy. The MyFirstUK dash cam insurance policy comes with a Nextbase Dash Cam. You can pick up the dash cam at your local Halfords store. The team at Halfords will install the dash cam free of charge, and you can drive away saving money on your insurance policy. The dash cam helps to give you an added level of protection, giving you evidence in the case of any incidents and accidents. Dash cams can also help to keep the roads safer as well as giving you greater peace of mind when you’re out and about on the roads. 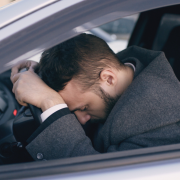 In some cases, insurers will refuse even to offer convicted drivers insurance; this can mean the search for insurance can be stressful and time-consuming. At MyFirstUK, we will search the market on your behalf and come up with the best deals and policies based on your requirements. Our specialist advisors have excellent connections with the best insurers who offer policies for convicted drivers. Our experienced team members can help to secure the right level of insurance at the best price. Which Type Of Insurance Is Best For Convicted Drivers? There are three different types of insurance available for convicted drivers; Third Party, Third Party, Fire and Theft and Fully Comprehensive. At MyFirstUK, we offer all three options for convicted drivers. Many convicted drivers, opt for Third Party Only insurance as this is generally seen as the cheapest option. However, insurers know that convicted drivers will usually choose Third Party Only insurance as it is cheaper and therefore insurers believe this insurance bracket is riskier. Subsequently, insurers often make Third Party Only insurance more expensive. Comprehensive insurance is usually chosen by safer drivers and therefore can often be a cheaper option, despite giving drivers a higher level of protection. It is worthwhile asking the advisor to find a range of policies for Third Party and Fully Comprehensive to work out which is cheaper. You may discover that you get more for your money with Fully Comprehensive convicted driver insurance. Remember, insurance is a legal requirement and to ensure you do not receive another conviction; you will need to make sure you have adequate insurance in place. One of the best ways to lower your insurance premiums is to increase the amount of excess you will pat in the event of a claim. Of course, this amount needs to be affordable for you. Do not raise your excess too high otherwise you may not be able to afford to make a claim. Dash cam insurance can help to lower your premiums by keeping your car safe and providing valuable evidence in the event of an incident or accident. Keeping your car in a safe place such as a driveway or garage can not only help to keep your car in a safe place but may also lower your premiums. Doing less miles will usually mean you are less likely to be in an accident. If possible, lower your mileage and you may save money on your premiums. However, don’t lie about your mileage, if you do make a claim and your mileage is over the limit, this could invalidate your insurance. Reoffending will increase your premiums. 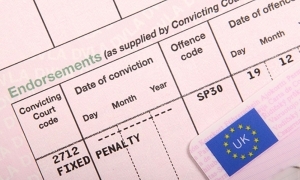 It may make you unable to get insurance until you are no longer a convicted driver. If you reoffend, your current policy may be cancelled. Reoffenders are also more likely to face tougher sentencing. 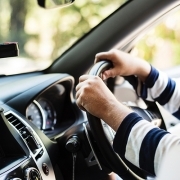 Driver rehabilitation course are designed to help convicted drivers become safer drivers. These courses teach the laws of the road and consequences of not abiding by them. Upon completion of the course, some insurers will lower their premiums. What Driver Convictions Can We Help With? MyFirstUK can help to find insurance for drivers with a range of convictions. Find out if we can help you to find the right insurance for your conviction by getting a quote. A student life is never cheap. Tuition fees, accommodation costs and living expenses all quickly add up to eye-watering amounts. The last thing you want to add to your budget is car insurance. However, when you have invested time and money into learning to drive, it would be a shame to miss out on the freedom of driving your car. After all, as a student, a car gives you greater convenience, practicality and more opportunities for your adventures during your student days. 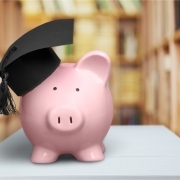 To help you save as much money as possible as a student, MyFirstUK offers specialist car insurance for students. We search for the best deals to save you money but also save you time too. Why Do I Need Student Car Insurance? If you have a car and use it, then your vehicle needs to be insured. Even if you leave your car at home when you go to college or university, your vehicle will still require insurance or, if it is not in use, it will need a Statutory Off Road Notice (SORN). It is important that you always have insurance or a SORN in place so that you can comply with the Continuous Insurance Enforcement legislation. Failure to do so is an offence and may lead to a fine. Many students fall into the 17 – 25-year-old age category which is typically considered as high-risk by insurers which often means expensive insurance premiums. Added to the higher risk for accidents and insurance claims due to lack of driving experience is the added concern that students and their universities tend to be located in cities, which can also increase car insurance premiums. Furthermore, students will often live in areas with higher crime rates. As well as this, there are usually fewer options for safe places to park the car, all of which work against students to increase their premiums. However, for many students, a car is crucial and a fantastic opportunity to explore the area with friends and fellow students. MyFirstUK wants to make it as easy as possible for students to enjoy their car at university by finding the best deals and the cheapest student driver insurance. How Do I Get The Best Student Driver Insurance? Tailored Cover – Get the right policy for your needs to save you money, whether you take your car to university or leave it at home. Reduce Your Mileage – It may help to reduce your premiums if you lower your annual mileage if you can reduce the amount of driving you need to do. Check For Offers – Student discount can apply to car insurance too. Don’t forget to ask for any ongoing student offers. No Claims Bonus – Keep building your no claims history through university to lower your premiums in the future. Value For Money – MyFirstUK will compare the market for you and look for the best value deals to suit your needs. Pay Upfront – Paying upfront for a full year is often cheaper than instalments. However, we offer flexible payment option with low deposits too. Type Of Car – The type of car you choose will dictate the cost of premiums, small and practical will be cheaper than sporty and powerful. Add Named Drivers – Adding other drivers, with plenty of driving experience, which use your car can lower your premiums. Black Box Insurance – Pay a premium based on your own driving style and habits rather than that of your peers. Consider Parking Places – Parking your car in a safe place such as a well-lit neighbourhood, or a driveway can save you money. No Modifications – Pimping your car can add to the premiums, avoiding modifications can help to keep costs low. Increase The Excess – If you can afford to pay more in the event of a claim, then it may reduce your overall premiums. Check Your Cover Options – Third-party insurance is not necessarily the cheapest, check quotes against fully comprehensive options too. Add Security Measures – Anti-theft devices can all help to keep your car safe from thieves and lower your insurance premiums. You can search for a quote online or chat with our helpful advisors via web chat or on the phone.